Council Tax Advisors (CTA), the company offering holistic debt advice and specialist knowledge in helping those who are in arrears or those who are suffering from enforcement issues, has just launched its new website. The newly branded, easy to navigate and user friendly site offers visitors a direct solution to their requirements. The simple, yet striking layout means that you can navigate yourself around the website effortlessly. The site offers background information on the company, giving you peace of mind and advice on all matters of debt and arrears. The company is a community interest company (CIC) and believes that no individual should face debt alone. As a not for profit company, CTA provides its services free of charge. Chris Richards, founder and managing director of CTA says “Those who are suffering from financial problems don’t know where to turn. We want to change that by creating an effective and straightforward way to give individuals the information, they need when they need it and we believe that the new website does just that”. CTA can help clients avoid further financial problems. The company offers support for clients looking to resolve debt problems as well as council tax arrears through its selected partnerships; IVAs (individual voluntary agreements), DROs (debt relief orders) and bankruptcy. As with its council tax arrears advice, all these services are free of charge to the client and to local authorities. CTA gives every client dedicated support. This includes an initial consultation, ongoing advice and liaison with local authorities to find solutions agreeable to all parties. The company offers a comprehensive mediation service for all situations, no matter the complexity. CTA works quickly on behalf of its clients and seeks to suspend any enforcement action in order to resolve the debt issues as soon as possible. CICs are limited companies recognised by the government under the Companies (Audit, Investigations and Community Enterprise) Act 2004. They use their profits and assets for the public good and are regulated by the Office of the Regulator of Community Interest Companies and the Secretary of State for Business, Innovation and Skills. 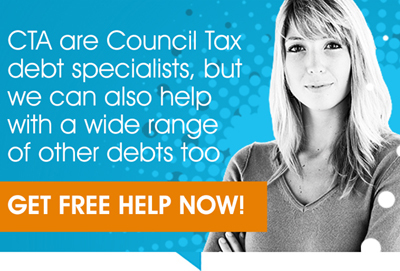 Council Tax Advisors (CTA) offers holistic debt advice and specialist knowledge in helping those who are in arrears or those who are suffering from enforcement issues. A community interest company (CIC), the business believes no individual should face this problem alone. As a not for profit company, CTA provides its services free of charge.